THE Bar Council today denounced the prosecution of lawyer Siti Zabedah Kasim for obstructing a civil servant from doing his duty, saying that Siti Kasim was doing her duty as a lawyer in asking the civil servant the basis for a raid. Bar president George Varughese said today in a press release that Siti Kasim was present at the event in question in the role of advocate and solicitor for the organisers and participants. “She had identified herself as a lawyer, and enquired about the basis for the raid. "As such, she was discharging her professional duties as a lawyer at the time the alleged offence was said to be committed," he said. On June 23, Siti Kasim was charged under Section 186 of the Penal Code with obstructing an officer of the Federal Territories Islamic Affairs Department (Jawi) conducting a raid on a fundraising dinner for transwomen on April 3 last year. She is accused of obstructing Siti Nor Jihan Saleh from doing her duty at the event held at Renaissance Kuala Lumpur. Siti Kasim pleaded not guilty to the offence, which is punishable by a two-year prison sentence, a RM10,000 fine, or both. Varughese said it was fundamental for an advocate and solicitor to act for a client without fear of prosecution. “A lawyer must at all times be allowed to advance a client’s rights without obstruction or impediment, or fear of prosecution for carrying out his or her duties as an officer of the court. “Any unwarranted interference with the discharge of such duties is a serious violation of the independence of the legal profession, and an affront to the administration of justice." He urged the authorities to respect the rule of law which grants a person right of access to legal counsel without harassment or intimidation. “The charge against Siti Kasim is in clear contravention of Principle 16 of the United Nations Basic Principles on the Role of Lawyers, which provides that 'Governments shall ensure that lawyers (a) are able to perform all of their professional functions without intimidation, hindrance, harassment or improper interference; and (c) shall not suffer, or be threatened with, prosecution or administrative, economic or other sanctions for any action taken in accordance with recognised professional duties, standards and ethics'," he said. – June 29, 2017. Prime Minister Najib Abdul Razak might not even hold the next general elections, according to Dr Mahathir Mohamad. “It is within his power to do so. Laws would not bother him,” he said in a blog posting today. 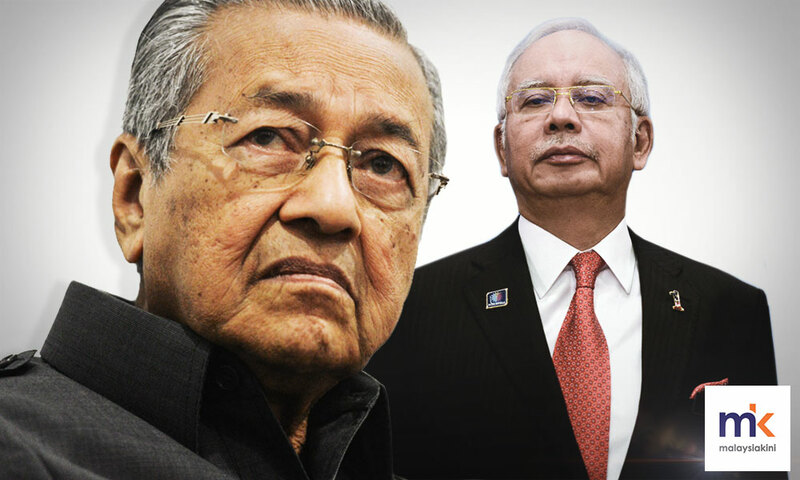 Mahathir claimed that Najib could declare a security situation or state of emergency even if there was none and could suspend the constitution. “In this, he would have the full support of Umno and BN leaders. They all know that their leader is abusing his power. “They all know about the investigations and accusations levelled at Najib by investigators in foreign countries. They all know of the reports by the US Department of Justice, the arrests, and closure of banks in Singapore in the 1MDB scandals...” he added. Mahathir claimed that cabinet ministers, as well as MCA and MIC leaders, do not care what happens to the country, the people or the reputation of good governance built by the founding fathers. “All they care about is their position, their perks and possibly the bran they get. “Let the country go to hell. Let it be called a kleptocracy. Let it be listed among the 10 most corrupt countries in the world. They don't care. Cannot be that they don't know. But they don’t care. “The people can suffer. That is not the problem of the ministers... As long as they do well for themselves, nothing else matters,” he added. Previously, Mahathir, who is now chairperson of Parti Pribumi Bersatu Malaysia (Bersatu), claimed that an emergency might be declared if the opposition scored a marginal win in the next polls. “The opposition may have to face the possibility of the election being declared null and void should the BN lose by a small margin. “Or, the government would refuse to admit defeat. The opposition would be accused of cheating. No evidence would be needed for the government to declare this. The bullies of the BN would be ready to create instability. 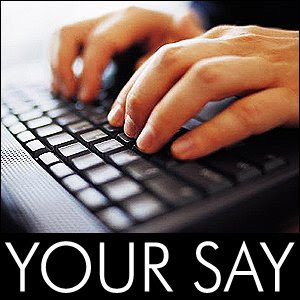 “On this basis, there could be a declaration of a state of emergency and Parliament would be suspended,” he said. The former prime minister said a national operations council or Mageran (Majlis Gerakan Negara) would be installed and the country would be ruled by decree similar to when the 1969 race riots happened. COMMENT | Before I begin, I throw a great Garrison Keillor quote out there whenever people ask me what I think about religion. “Anyone who thinks sitting in church can make you a Christian must also think that sitting in a garage can make you a car”; replace the words “church” and “Christian” with your preferred place of worship and religion, and you get exactly what I think about religion. 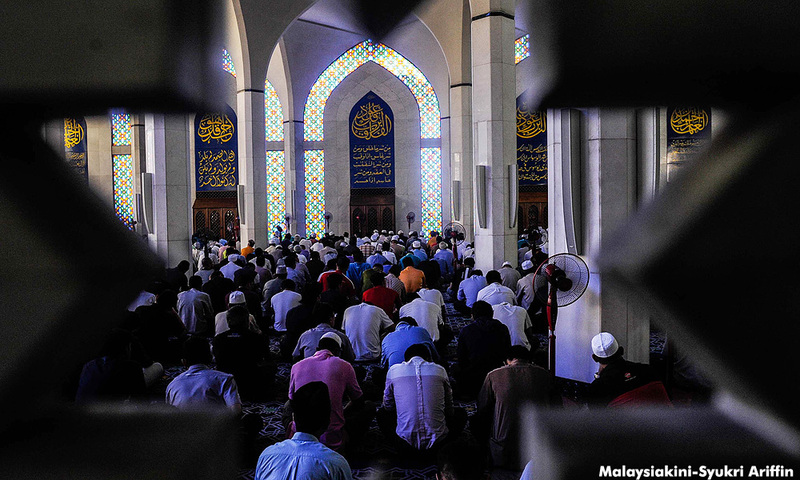 This brings me to two interesting Malaysiakini comment pieces by two authors, which neatly illustrates the disconnect in the religious discourse in this country. In a piece highlighting the complete failure of the MIC to dispel the perception that a canteen operator was told to cease operation was a racial issue, Stephen Ng turns the issue into a religious issue. This, of course, is understandable. The problem with this question is that the answer may not be what Ng hopes for. The answer is yes, this Indian operator has to be syariah compliant (if that was indeed the reason he was asked to cease operating), even though he had his own clients because he is operating in an educational establishment that been infused with religious dogma. The real issue that the MIC cannot face is the issue that the opposition cannot face either. The real issue here is that there can never be (in Ng’s words) “mutual respect between the Muslim and non-Muslim communities” as long as political parties embrace the notion that religion will always be a factor in garnering Malay votes. Has there ever been any Malaysian political coalition that promises to take religion out from education? Is there any political alliance that has not funded religious institutions even if it meant sacrificing “Malay” votes? Has there been any political alliance whose platform is to maintain a strict separation between mosque and state? There is no point blaming the MIC for anything to do with Islam in this country because the reality is that when it comes to Islam and the Umno state, there is very little anyone can do about it because nobody wants to offer an alternative. I keep asking oppositional political operatives and their supporters if there has been any change in the way how state-level Islam is promulgated, now that the opposition is in power in certain states, and I get variations of two political talking points. 1) The opposition can only do “something” about the intrusion of Islam if they get federal power. When I ask them for specifics, they mumble something about 1MDB being the greater problem and not Islamic extremism, as is the supposed agenda of my articles. 2) That the Malay vote is important and they cannot do anything to overtly support “secularism” because this would play into the hands of those religionists who are in control of the Islamic narrative in this country. In other words, nobody is interested in changing the narrative and those who are, are called "idealists" or worse. And therein lies the rub. There will always be contentious issues because there are no clear-cut lines when it comes to the state and religion. The opposition uses religion just as much as the establishment. We are not dealing with competing ideas but an attempt to distract from the real issues by convincing ourselves that the magic bullet that would destroy a kleptocracy means we will not turn into a theocratic state. When I ask which is worse, as in which would be preferable to live under - a kleptocracy or an Islamic state as envisioned by PAS president Abdul Hadi Awang and co - all I get are mumblings about how, if Islam is practiced with empathy and consideration, it is a religion that can exist within the democratic process. Honestly, is there a difference between “syariah compliance” and any other state-sanctioned Islamic dictates that restrict commerce, intrudes into our public spaces or oppresses the majority of this country? Lawyer Siti Kassim said that Muslims are the most oppressed people in this country and if you believe her narrative, then why is it that there are no alternatives that cater to her beliefs. And that’s the key. The constitution, which for all intents is secular-leaning, has been co-opted by the state and Islamists to present a monolithic view of the Muslim community. If the constitution is manipulated by a handful of people then why isn’t another handful of people - and by people I mean Muslims working in tandem with other secular-minded people - who defend the constitution and not engage in the kind of political behaviour which many claim is detrimental to the Malay community? The real question is not about syariah compliance but the way how people use “religion” as either a tool of oppression or a tool of victimisation. There is a common ground but until we have people committed to claiming that ground, we will always have this toxic discourse where non-Muslims devour their own because nobody wants to deal with real issues. Where is this common ground? Gerard Lourdesamy: What is nonsensical is attorney-general (AG) Mohamed Apandi Ali’s response to the Bar Council statement. The Department of Justice (DOJ) filings in the US may be a civil suit. But the DOJ has obtained a wealth of information and evidence from its investigations, not just within the US but also from foreign countries such as Switzerland, Luxembourg, Singapore, the United Arab Emirates (UAE) and others. The civil suits raise grave allegations of possible criminal acts, including conspiracy, cheating and breach of trust by many Malaysian players, purportedly including Jho Low, Reza Aziz, the 1MDB senior management, Malaysian Official 1 (MO1) and MO1's wife. Isn't it incumbent on the AG, as the public prosecutor, to assuage public concerns by at least giving an assurance that he would investigate the allegations and if necessary, seek information from the DOJ and the Federal Bureau of Investigation (FBI) to assist in his probe? Shouldn't the auditor-general's report on 1MDB be declassified and debated in Parliament as a first step towards restoring confidence in our government and regulatory bodies? Kimquek: DOJ’s 251 pages of description of the alleged US$4.5 billion grand theft of Malaysian public funds through 1MDB caused a global sensation, but the Malaysian AG has only one word to describe the Malaysian Bar’s urging to probe the matter: “Senseless”. With that, Apandi closed his conversation. So, to the AG, DOJ’s 251 pages of revelation is nonsense, something not worth his attention. In any democracy, the AG would be sacked instantly, or subject to impeachment proceedings, or hounded out of office by furious public opinion. But how would Malaysia react? How it reacts may reflect on the state of the Malaysian democracy and the soundness of its rule of law. 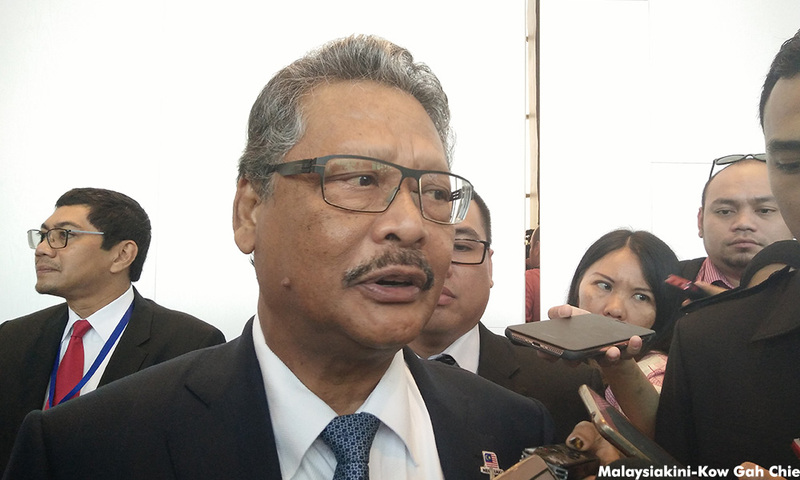 CQ Muar: Why is Apandi so protective of MO1? If he were a responsible person, he should at least suggest calling for further investigation, instead of rubbishing Malaysian Bar president George Varughese. This clearly indicates the AG has something to hide, or an agenda behind his unwarranted reaction, or even his aggressiveness. Can Apandi kindly explain if he is responsible for the nation's interest or that of PM? Sans Prejudice: Somewhere in a distant place called Bukit Aman, the Twitter Cop has just announced that he has been ordered by AG to “dig deeper” in the sordid 1MBD affair since the latest DOJ expose. We do sure have a credibility issue at hand. Both individuals, who are supposedly guardians of the law, have been uttering contradictory and irreconcilable statements on the same issue. FlabberPro: The irony of all ironies, the ones who are under oath to uphold righteousness and justice, are the very ones who violated them. While they are in deep denial, their actions have spoken louder than their words. Malaysians, and the world at large, are not listening anymore to what is spoken, but rather to what is seen. Throughout history, no one could escape the wrath of the people, no matter how powerful they could be when they are in power. It is just a matter of time before they have to face their just punishment. There shall be no pity, no compassion and no leniency when the day comes. Aren't they afraid? Pemerhati: This statement coming from Apandi is not surprising and is to be expected. Previously, even in light of overwhelming evidence that showed PM Najib Razak had allegedly stolen billions of ringgit, the AG completely cleared Najib of any wrongdoing. That clearly showed that the AG had absolutely no principles and is Najib’s protector and lap dog. Clever Voter: Yes, I’m hardly surprised at the response of AG. The position has been redesigned to support the stability and continuity of the establishment. Clearly, a domino effect will happen if otherwise. The DOJ investigation will continue and the subsequent outcome will not impact on the well-entrenched patronage system. This has been expected. Noises, yes, but actions unlikely. Anonymous 2474441496569636: AG already made a decision on this case early last year and had confirmed that there is no foul play in regard of the financial dealings in 1MDB. So, the Bar Council's continuous pressure to reopen the probe on 1MDB is in utter contempt against the AG’s Chambers and our legal system. AG is firm on his decision and simply refusing to make a U-turn. That’s all. We should respect his findings. Anonymous 539281478077880: Definitely the AG would brush off the suggestions put forward by the Malaysian Bar president. The president must understand that the AG had cleared Najib of any wrongdoing in the 1MDB "fiasco". It won't make any sense if the AG were to direct investigators to conduct another probe into the 1MDB affair. The Bar president should advise the DOJ to contact the AG's office directly and make the AG commit to answer all allegations levelled against MO1 and 1MDB. This would put things in the proper perspective as whoever is implicated would have to answer, and the wrongdoings cannot be "swept under the carpet". Hang Babeuf: The AG: senseless? Surely not. Some attitudes are driven not by an absence of sense but by bad sense. That seems all too characteristic of "official thinking" these days. Wira: I guess the Arab donor story still makes more sense to the AG than the money trail supplied by DOJ. Perhaps Apandi can just name the donor, provide his money trail with solid evidence and tell Uncle Sam once and for all not to mess with Malaysia. Read also: 1MDB probe - dig deeper or bury deeper? Former Bank Negara Malaysia (BNM) governor Zeti Akhtar Aziz said there was not much the central bank could do about 1MDB other than issuing "the highest administrative fine" in Malaysian history. She said Bank Negara does not have the power to prosecute, though they are always ready to provide assistance to any institutions who can do so. "(People) had higher expectations from us but Bank Negara does not have the power to prosecute. "We do not have the power to fulfill the expectations on us, but we support the agencies which have those powers," she said, as reported by Sin Chew Daily yesterday. "Bank Negara has already fined relevant agencies and financial institutions which acted against the law (in 1MDB's case). I would say, this is probably the highest fine in this country's history. "This is what Bank Negara can do," she added. On April 28, 2016, Bank Negara issued an administrative fine to 1MDB for failing to adhere to the Financial Services Act 2013. The state fund was given until May 30, 2016, to pay the fine. However, Bank Negara has yet to reveal the actual amount of the fine imposed on 1MDB up till today as it is against Bank Negara protocol to reveal specific details in individual cases. About two weeks after the fine was issued, the current Bank Negara governor Muhammad Ibrahim said they have ended their investigations into 1MDB's affairs as 1MDB has stated its commitment to pay the fine before the deadline. 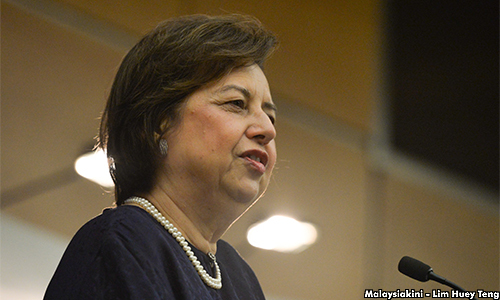 In this first local interview since her contract as Bank Negara governor ended last April, Zeti also admitted that the 1MDB case was one of the most challenging things she had to handle in her stint as the governor. Bank Negara's main responsibility in dealing with the 1MDB case was to ensure that the country's financial system was not damaged. "Bank Negara has well-written laws, such as the Central Bank of Malaysia Act 2009, Financial Services Act 2013 and so on, to protect the financial system and ensure it is managed in a stable, transparent and healthy way," she said. When asked if she was disappointed in how the 1MDB investigations turned out, she said, that as a Bank Negara officer, she has to set personal feelings aside to prevent it from affecting her duties. "Bank Negara staff are not like other people. We have to learn to focus on the job. "This is because our duty is to the rakyat and the corporate world, and not to our own personal feelings. "When faced with disappointment, the support shared among members of the central bank is very important. "We realise Bank Negara is very important to the country. We do not want it to be damaged. This is what I always prioritised," she said. Sebagaimana saudara-saudari Muslim kita bersiap untuk menyambut Hari Raya Aidilfitri setelah sebulan berpuasa, tiba masanya untuk bersyukur atas keunikan masyarakat kita dimana penerimaan dan saling menghormati memainkan peranan utama di dalam kewujudan kita secara harmoni. Agama adalah peribadi bagi seseorang individu itu dan ia harus menjadi satu perkara diantara seseorang dan Tuhan dia. Sebagai contoh Puasa. Puasa adalah untuk kita menguji kesungguhan batin kita,untuk melawan dan menahan diri daripada godaan. Bagi umat Islam, ‘nafsu’ mereka yang diuji. Saya masih ingat satu kejadian beberapa tahun yang lepas ketika saya sebagai seorang pelajar di UiTM di KL. Semasa bulan puasa, saya bersama seorang pelajar dari Sarawak yang sedang makan sepotong kuih, dan seorang lelaki muda berjalan menuju ke arah kawan saya, dan menolak kek dari tangan dia dan meninggalkan tempat itu. Tanpa berkata apa-apa, kami terkejut dengan kejadian ini kerana kami tidak pernah mengalami tingkah laku seperti ini selama kami di Sarawak. Dalam fikiran kami, nilai sebenar puasa datang apabila seseorang itu mampu berpuasa tanpa perlu persekitaran di sekelilingnya diubah demi menghapuskan unsur-unsur yang mungkin menjadi ujian kepadanya. Selain daripada penglibatan segelintir pemimpin negara dalam rasuah, perkara yang paling merosakkan yang berlaku di negara ini adalah politikasi agama. Parti-parti politik tertentu telah berjaya memacu kejatuhan antara umat Islam dan bukan Islam dalam beberapa dekad yang lalu dengan menggunakan agama sebagai alat, memainkan satu agama terhadap yang lain dan mencetus ancaman yang tidak pernah wujud. Pembentangan Rang Undang-Undang Hudud secara berterusan dan sokongan secara rahsia Rang Undang-Undang dari kerajaan adalah satu perkara yang menimbulkan kebimbangan yang besar kepada orang bukan Islam. Perkembangan terbaru mempersoalkan kepercayaan ahli-ahli politik tertentu adalah salah satu sebab untuk dikhuatiri. Sesetengah umat Islam cuba menegaskan bahawa orang yang mempunyai kepercayaan tertentu tidak boleh menjadi ahli politik di negara ini, atau jika mereka adalah ahli politik, mereka tidak boleh bercakap tentang iman mereka, ataupun bertindak mengikut kepercayaan mereka. Begitu juga dengan seruan untuk mengharamkan perayaan dan aktiviti Kristian adalah suatu ancaman yang sangat provokatif kepada keharmonian kita, apatah lagi ia merupakan suatu pelanggaran Perlembagaan Persekutuan, yang menjaminkan kebebasan rakyat untuk mengaku dan mengamalkan agama pilihan mereka. Sedih sekali serangan terhadap agama Kristian ini berlaku pada bulan Ramadan, yang menunjukkan peningkatan dalam sikap tidak bertoleransi dan ketaksuban. Malah lebih membimbangkan adalah bahagian dari Timbalan Perdana Menteri dalam memerangi tuntutan ultra islamis ini. Kerajaan telah mengecewakan negara ini dengan membenarkan ekstremisme seperti ini berkembang, sebagaimana dapat dibuktikan dari kekurangan tindakan mereka terhadap pelaku. Sekali lagi, menggunakan agama untuk tujuan politik. Kepercayaan agama dan komitmen ke arah agama masing-masing adalah baik kerana ia membimbing seseorang menjadi warganegara yang bertangunggjawab. Setiap orang, sama ada ahli politik, hakim, ahli perniagaan atau anggota polis, jika benar kepada agamanya dia akan menjadi seorang ahli politik, hakim, ahli perniagaan atau anggota polis yang baik. Dia tidak akan merosakkan, atau mencuri harta benda orang lain atau menipu. Oleh itu, ia menjadi suatu kesegaran apabila terdapat beberapa orang yang terkenal yang cukup berani untuk bercakap terhadap kumpulan pelampau ini. Seperti yang dikatakan oleh salah seorang daripada mereka, kepekaan terhadap orang-orang yang mempunyai kepercayaan yang berbeza adalah seperti jalan dua arah dan kita harus saling menghormati hak masing-masing dalam mengamalkan agama kita. Pemimpin kita - dari masyarakat, pelbagai agama dan parti politik - juga harus bersuara untuk majoriti senyap yang juga tidak bersetuju dengan ketaksuban kaum dan agama dari beberapa kumpulan ekstremis. Saya sentiasa bersyukur juga bahawa Sarawak masih bebas daripada pengaruh para perusuh agama ini. Betapa indahnya jika kita dapat kembali ke zaman dahulu ketika Malaysia pernah menjadi model sebenar keharmonian kaum dan agama. Semasa saya sebagai seorang pelajar di SMK Limbang, saya serta kawan-kawan akan berkunjung ke setiap rumah di sepanjang jalan semasa sambutan Hari Raya atau Tahun Baru Cina, walaupun kami tidak kenal penduduknya. Pada Tahun Baru Cina, kami akan mengucapkan 'Gong Xi Fa Cai!' 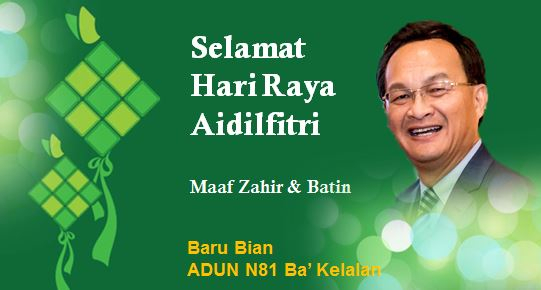 dan semasa Hari Raya kami mengucapkan 'Assalamualaikum!'. Kami sentiasa dialu-alukan dan dihidang dengan makanan dan minuman. Pengalaman masa itu membawa saya percaya kepada dasar kebaikan dan kemurahan hati semua orang, tanpa mengira kaum dan agama, dan kenangan dan kepercayaan itu tetap kuat di dalam saya. Seperti yang saya katakan, Sarawak masih menjadi bumi yang harmoni dan penerimaan bersama. Malah di arena politik, kami melawat rumah-rumah pihak lawan politik kami semasa Hari Raya, dan pada masa ini, kami mengetepikan perbezaan politik kami untuk meraikan perayaan ini bersama-sama. Marilah kita semua bekerjasama untuk memastikan suasana istimewa seperti saling menghormati dan penerimaan antara pelbagai kaum dan kumpulan etnik akan bertambah erat, supaya Sarawak akan menjadi tempat yang dapat kita panggil sebagai rumah kita dengan bangganya. Saya ingin mengucapkan ‘Selamat Hari Raya Aidilfitri; Maaf Zahir dan Batin’ kepada semua umat Islam. Pengerusi, KEADILAN Sarawak/ ADUN N81 Ba’ Kelalan.